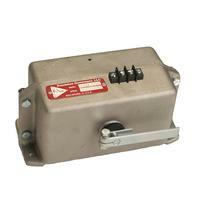 PG’s Model SF rotary actuator provides high output torque for actuation of all types of engines. Robust design and only one moving part supported by precision ball-bearings within a sealed case provide reliable operation and long life. Low 20 watt average power consumption provides low temperature rise allowing for higher ambient temperature operating conditions up to 125 ºC. 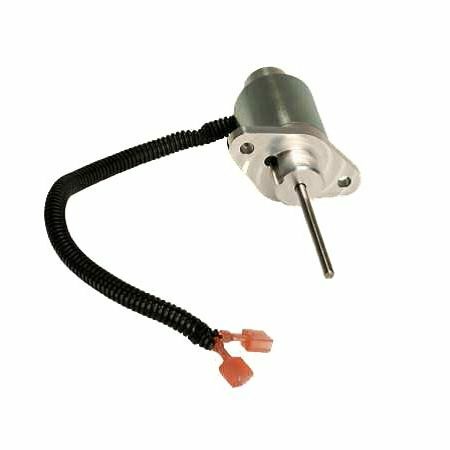 Installed on diesel, LPG, NG, or petrol engines with a PG speed controller, and a magnetic pickup to provide the speed signal, the SA Governing Actuator provides the solution for accurate engine speed control. The ignition on spark-ignited engines can provide the speed signal for the controller. 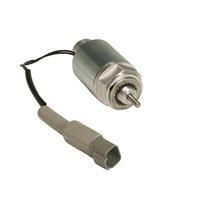 High Torque Output Produces maximum of 0.75 ft­lb of rotary action on 3⁄8­inch shaft. Rotation up to 43o, clockwise or counterclockwise. 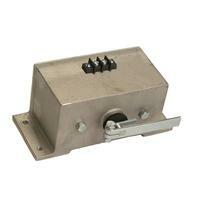 No Power Shutdown When actuator is de-energized, the spring loaded shaft returns to shutdown position. Corrosion and Moisture Resistant Rugged aluminum case and corrosion resistant plated surfaces are factory sealed. Actuator Response Time 0.050 seconds. Compact Package Easy-to-install unit (3.5 x 3.5 x 8 inches). Zero Droop Isochronous control with zero droop over the complete speed range providing better utilization of engine rated horsepower. Multiple fuels Used on diesel, LPG, Natural Gas or petrol engines. Response Time Typical 50 msec.